Pilot boat Guide with Tilbury Fort in the background. 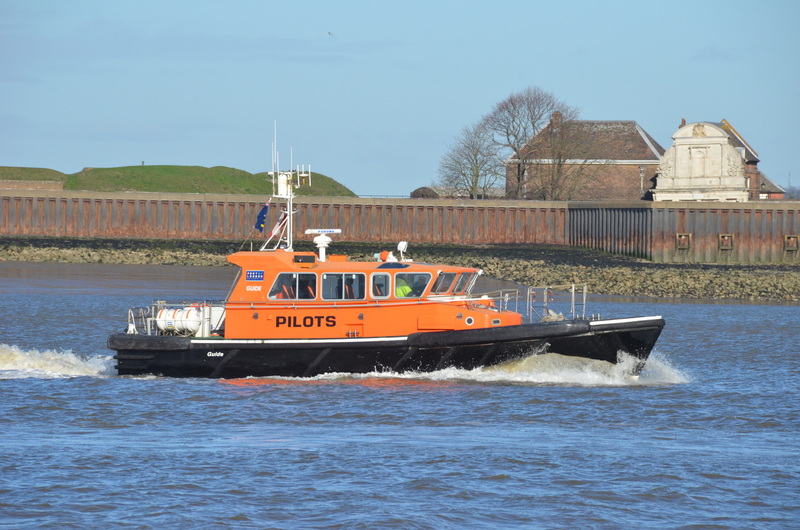 Pilot Boat GUIDE on the Thames. She formerly worked out of Ramsgate and into the English Channel. I understand that the pilot service is having a new boat built for the Thames. This will be a HYBRID to reduce pollution with the long term intention of a all electric vessel.